We were super excited to get a visit from world renowned canine behavior expert, Dr. Clive Wynne and two of his colleagues, Lisa Gunter and David Beckström-Sternberg. We decided to perform an impromptu experiment assessing the prosocial behavior of the Russian domesticated foxes, the US tame fox and primitive dogs, New Guinea Singing dogs towards humans. This experiment has been performed on domesticated dogs and wolves. We were very curious to see how they would respond; would they act more like domesticated dogs, or wolves, or neither. Well, we can certainly say that we were fascinated while watching each animal perform testing with a non-familiar person and a familiar person (in a familiar environment). We tested 8 animals in total. This type of behavioral testing on the Russian domesticated foxes and US tame foxes is limited and we believe that this testing, combined with genetic testing, is critical to truly understanding the difference and similarities of these canids and the domestication process. We cannot wait to see the results of this small pilot study. Sophie, a Russian domesticated fox during the non-familiar, passive testing. Boris, a Russian domesticated fox during the non-familiar, active testing. Viktor, a Russian domesticated fox during the non-familiar, active testing. If you are interested in collaborating with the JABCECC, scheduling a visit, or a photoshoot - please reach out to us. We are a non-profit and donations are also welcomed. Huge Thanks to Clive Wynne and his team from the Canine Science Collaboratory at ASU. Happy Easter from all of us at JABCECC! Have a blessed day! Move forward in kindness, respect, and love! Newsela published an article based upon the PBS article on the Russian domesticated foxes, featuring the JABCECC. The article was tailored to children and was age appropriate. After the article was a quiz that educators could use to test the reading comprehension of children. The JABCECC absolutely LOVES that that Newsela did this article, as one of the primary missions of the Center is to provide education to children. We are very excited and cannot wait to start collaborating with educators and bringing the cute fluffy kids to classrooms, events, and parties to increase awareness about the program, as well as our conservation efforts for canids! We received our official notification from the Federal IRS that we meet the requirements of a non-profit organization!!! We want to thank Pete Potente and his law firm www.potentelaw.com for their inkind service of filing our non-profit documents and holding our hands through the process. We know that their support is a gift of kindness and generosity that demonstrates to the world how important the canid-human bond is. The Potente law firm has been the law firm for two of the founders corporations and they have experienced a pleasure and ease in working with the team at Potente. Pete is a super cool guy and is definitely not the stuffy lawyer type!!! While we never previously discussed our common love for animals, when we started the center, we invited Pete and his wife to an event. It became clear that we shared our love for animals and he offered to have his law firm handle our non-profit filings with the state and federal government, for no cost!!! Dave and I walked away floored at his generosity and knowing how blessed we were with his generosity!!! So, a few months later, we received notification that we have been approved!!! We hope you all join us in thanking them for offering their services to us for no cost and share with them the love you have the kindness they offered to help us help canids!!! We have a lot of amazing things to do at the center - LET'S GET IT STARTED!!!! JABCECC was in the news regarding the Russian domesticated foxes. Check out the story from Andrew Wagner. The Center Update and Welcome Matt!! We have lots of exciting news to share!!!! We have signed a contract with S&S Contractors to build the center structure. They are going to begin the work to build a place where our healing can take place. We expect the project to take a few months and then there will still be plenty of work to occur to make it beautiful and a place we call home for the babies. Enclosures and fencing is under way and we will still need support to improve the living spaces for the babies and keep them safe and happy!! We have added Matt Person to our team!!. Matt has an insane amount of experience with wildlife rescue, dogs, and animal conservation. He is currently in school for animal conservation and is one of the best handlers I have met. He has such a natural connection with animals and an amazing spirit. Everyone will surely fall in love with Matt! 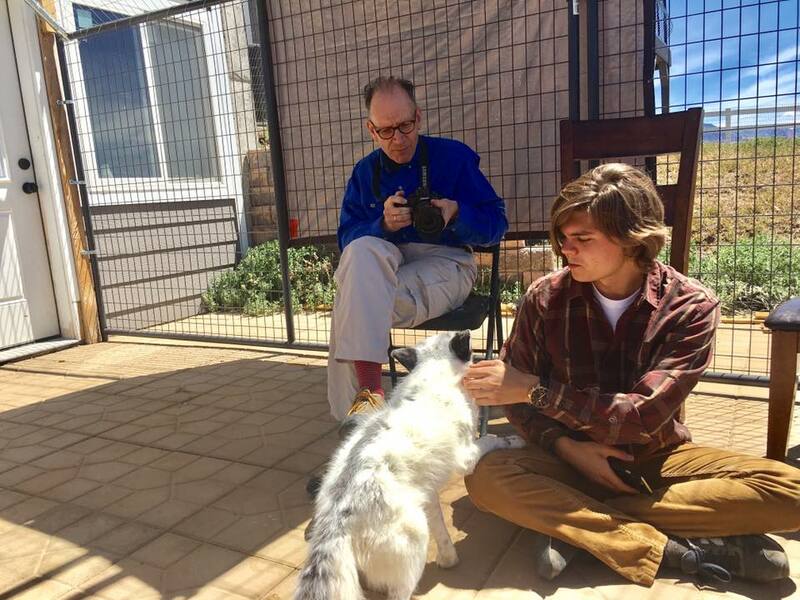 Matt will be helping in the design of the enclosures, development of programs, spearheading our conservation efforts, and assisting in animal handling and educational events. Matt is a very special addition to our team and we are over the moon blessed to have someone with his energy and skills a part of our non-profit. We frequently receive a lot of questions from people regarding Russian domesticated foxes, the project, the why, and how they differ from wild and captive bred foxes. There are numerous "pet fox" breeders in the US to which anyone can purchase a fox from. Of course, foxes are not legal for pet ownership in many of the US states and some pet fox breeders are also associated with fur farms. The founders of the JABCECC started their adventure into the Russian fox program many years ago, as an exploration to better understand the behavior of these domesticated foxes. 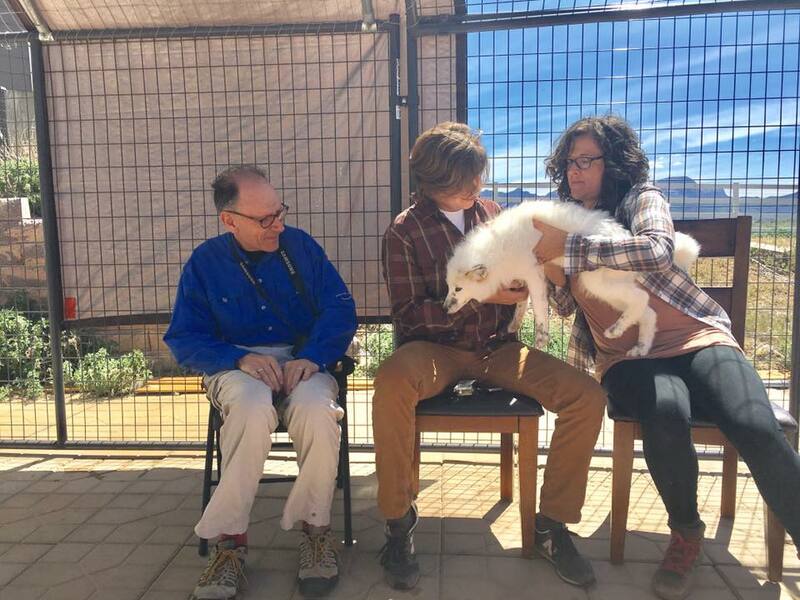 They did an extensive amount of research, corresponded with many of the experts in the program, and made a life long commitment to bring two of these foxes into their lives, Boris and Sophia. Fast forward four years and a lot of poop and pee and becoming experts in fox behavior...and the founders of JABCECC decided to bring three more Russians into their family. Viktor, Maks, and the unexpected Mikhail were imported from Russia and now make their home with the founders. Dave, a fox behavioral expert and animal behaviorist is currently evaluating them to see if they would make appropriate fox ambassadors for the JABCECC. In the meantime, Amy, Dave and their family are loving on them and welcoming them into their family. We will provide updates on Maks, Viktor, and Mikhail as we continue to understand and define their role for the center. We know it is impossible to not fall in love with them and their little personalities are adorable.... their nicknames are quickly being formed. We ask that everyone be patient as we move forward with the center, the programs, and the events as we continue to evaluate how we can best impact animal conservation and welfare issues, develop our team of experts, and define our programs. In the meantime - love foxes, love canids, love JABCECC! 1. Download Coin Up App in the App Store for Iphone. 4. Link your bank account and register your debit/credit card. 5. Choose your monthly cap. But unfortunately, we haven't been able to secure a sizeable amount of money. Some asked why is it so expensive when a ranch raised fox is $500. Well, first, these are in Russia - and not just in Russia, but Siberia (Yes, very cold). As such, they cost a lot of money to import. Once imported, they require getting to our place. They are at the Institute of Cytology and Genetics and are part of the Fox domesticated program. They are very unique and can only be found at the ICG. They are genetically domesticated, but without a purpose in life besides the research the ICG does. 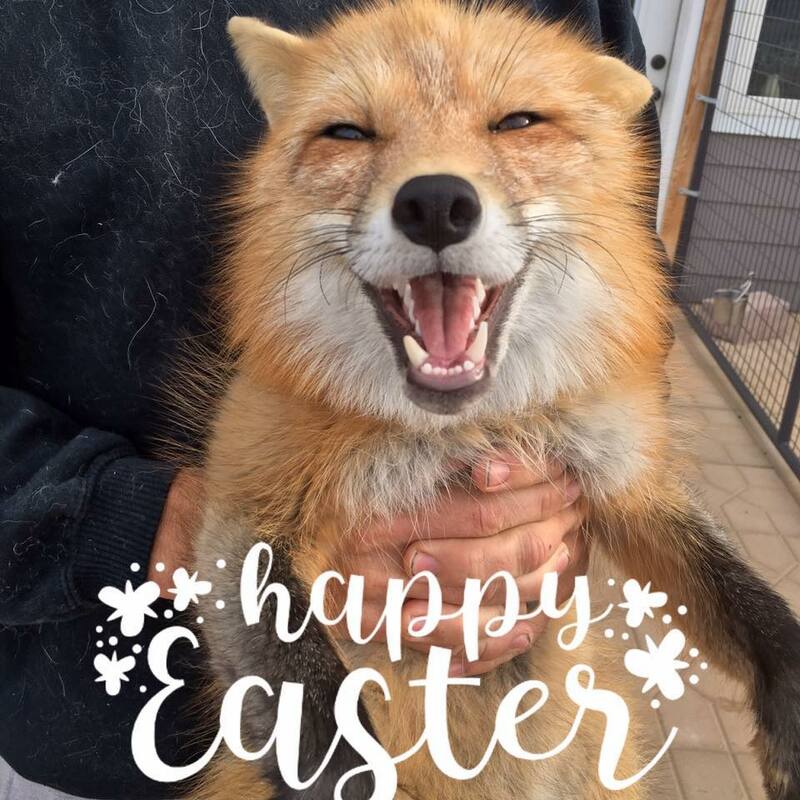 While we appreciate what we have learned and the value of the program, we believe that these foxes deserve more than to live their lives on a farm. We want to bring them to the US to be a part of our center to be Ambassadors for their wild and captive bred counterparts. To fight the fur industry and the use of fur bearing animals for VANITY!! Oh, and help us pick out a name for this beautiful silver fox!!! AND LET'S GET FOXY!! !